When The Walking Dead broke ratings records, a spinoff was inevitable. When Fear the Walking Dead broke ratings records of its own, a second season was inevitable. At the Season Two press junket, Tony Award nominee Colman Domingo talked about his character, Victor Strand. As we’ve seen, every character on the show has had to make tough decisions. When the world is suffering a zombie apocalypse, tough decisions will have to be made. Almost every character has had to make a decision that would be horrifying in a world without zombies. While Domingo thinks each character has been forced to go out of his or her comfort zone, he doesn’t think their actions have gone too far. A drama about a zombie apocalypse is going to be intense. Though filming some scenes can be intense, it’s worth it because the cast has become a team. Everyone wants to put out a high quality show and is willing to put in the effort to create the quality. Domingo shared how emotional the show can be for the actors. 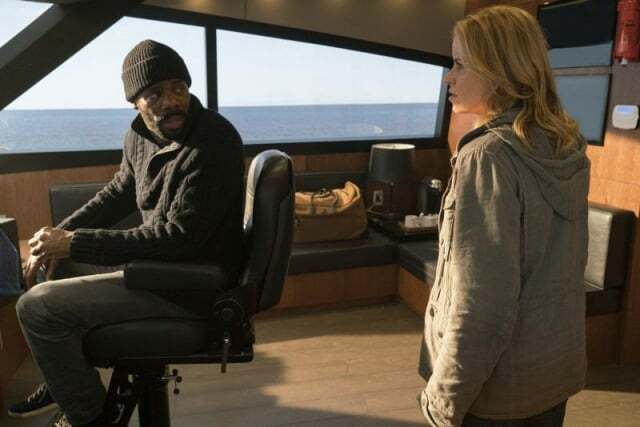 The further we go into the Fear the Walking Dead universe, the more alike Victor and Madison (Kim Dickens) seem to be. Neither is afraid to make the hard choice and both have had moments of unapologetic brutality. Though they still mistrust each other, they’ve forged a tenuous alliance. Like us, Domingo is curious about the trajectory of their relationship. In a hit show, there are always going to be guest stars. Domingo shared his wish list of potential guest stars. Any fan of The Walking Dead universe knows that no character is safe. Anyone can die in any given episode. If/when he’s given the dreaded call from the producers that his time is up, has he thought about how his character should meet his end? Part 2 of Season 2 of Fear the Walking Dead premieres Sunday, August 21st on AMC. Season 3 will air in 2017. To celebrate the release of Florence Foster Jenkins, Paramount Pictures is taking audiences behind the scenes of the film with a one-night-only Curtain Call event, a special 10-minute theatrical experience offered to ticketholders on Thursday, August 11th. The event features a Q&A taped exclusively for the Curtain Call with the film’s stars Meryl Streep, Hugh Grant and Simon Helberg on the making of the film, along with bonus behind-the-scenes footage. The Curtain Call screenings are playing in theaters nationwide as part of the regular admission for all showings of the film that evening. Tickets are on sale online and at theater box offices. Please check local listings for showtimes. Set in 1940s New York, Florence Foster Jenkins, from Paramount Pictures, Pathé and BBC Films, is the true story of the legendary New York heiress and socialite (Meryl Streep) who obsessively pursued her dream of becoming a great singer. The voice she heard in her head was beautiful, but to everyone else it was hilariously awful. Her “husband” and manager, St. Clair Bayfield (Hugh Grant), an aristocratic English actor, was determined to protect his beloved Florence from the truth. But when Florence decided to give a public concert at Carnegie Hall, St. Clair knew he faced his greatest challenge. The film stars Meryl Streep, Hugh Grant, Simon Helberg, Rebecca Ferguson and Nina Arianda. Produced by Michael Kuhn and Tracey Seaward. Written by Nicholas Martin. Directed by Stephen Frears. Executive Producers Cameron McCracken, Christine Langan and Malcolm Ritchie. He attended Brighton College, a boarding school, but struggled with authority and academia and left without qualifications. He moved to London and worked variously as: a croupier, a labourer, a bouncer and a barman. In his early twenties he worked at sea as a deck hand and as a yacht captain. Between jobs he traveled in South America where he supported the Sandinista revolution. He helped build a school in the north of the country, which was destroyed by the Contra Terrorists the day after it opened. He began writing feature pieces about his travels and contributing to British newspapers including The Sunday Times, The Guardian and various magazines. In 1988 he reported from Chile on the final days of the Pinochet regime. He met his former wife Gabriela Sepulveda, a photographer with whom he has three sons, during a press conference at the Human Rights office in Santiago. On one occasion he escaped arrest by producing a letter of introduction from the features editor of Vogue magazine, a publication much favored by Lucia Pinochet, the wife of the dictator. In 1989 Martin returned to London to take up a place at The National Film and Television School to study scriptwriting. He graduated in 1992 and began writing for British TV. His first produced script was for the highly regarded BBC series Between the Lines, which won the BAFTA award for best series. In 1998, he wrote a total of 16 episodes of the ITV comedy drama series, Big Bad World. The show launched the careers of actors Stephen Mangan and Lucy Punch with episodes directed by Justin Chadwick (Mandela). He continued to write for British TV, regularly contributing to popular series like Bill and Midsomer Murders, but despite several near misses, none of his feature scripts reached the screen. Demoralized, in 2004, he stopped writing all together for several years but was encouraged to return to drama by veteran producer Jonathan Powell (Tinker Tailor Soldier Spy). 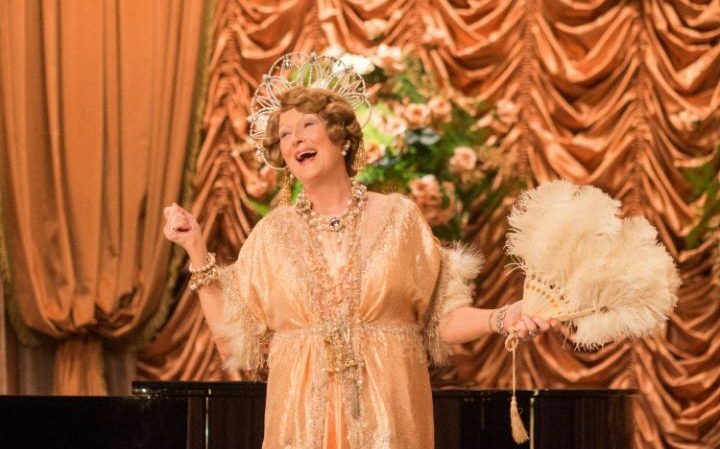 In early 2014, producer Michael Kuhn read Martin’s script for Florence Foster Jenkins and optioned it the same day. Within a week, Stephen Frears had agreed to direct and within three weeks Meryl Streep signed on to play Florence. Known for making provocative, stylized, and tightly budgeted films about people living on society’s social and/or sexual fringes, British director Stephen Frears is renowned as one of his country’s most vibrant and recognizable filmmakers. Regarding his tendency to make films that branch into unfamiliar territory, Frears has said that he likes “making films about different cultures…I’m interested in things that I’ve never encountered before. I try to put myself in the audience’s position.” Born in Leicester on June 20, 1941, Frears studied law at Cambridge University before turning to the arts. He became involved with London’s Royal Court Theatre, where he served as an assistant to director Lindsay Anderson and to actor Albert Finney. He started his career in the film industry as an assistant director to Karel Reisz, with whom he worked from 1966 until 1972. In 1971, Frears made his directorial debut with Gumshoe. Starring Finney, it was a tribute to the hard boiled detective drama. Frears helmed a few made-for-television films, and in 1985, he had his breakthrough directing My Beautiful Laundrette. Written for the screen by Hanif Kureishi, the film used its central story of the relationship between a young Pakistani and a London street punk (a then unknown Daniel Day-Lewis) to explore issues encompassing homosexuality, racism, and intergenerational tensions. An edgy, offbeat tale, it earned great critical acclaim, a Best Original Screenplay Oscar nomination, and a New York Film Critics Circle award for Kureshi. Frears and Kureishi again collaborated on Sammy and Rosie Get Laid (1987), a film about the faltering relationship between a London couple. Like My Beautiful Laundrette, it looked at a number of issues that were particularly relevant to late-’80s British society; unlike Laundrette, it failed to make much of an impression on critics or audiences. Frears’ next three films proved to be some of the most successful of his career. The first, Prick Up Your Ears (1987), was a biographical drama about the celebrated and controversial English playwright Joe Orton. Featuring stellar performances by Gary Oldman as Orton, Alfred Molina as his tragically unstable lover, and Vanessa Redgrave as his agent, the film was widely praised. A year later, a Best Director BAFTA nomination and a number of international honors greeted Frears for Dangerous Liaisons, his adaptation of Choderlos de Laclos’ Les Liaisons Dangereuses. The director’s most opulent piece to date, it was an elegant, witheringly cynical tragi-comedy that boasted an Oscar-winning script by Christopher Hampton and deliciously nasty lead performances from John Malkovich and Glenn Close, the latter of whom earned an Oscar nomination for her portrayal of the scheming Marquise de Merteuil. Frears gained more international acclaim and a Best Director Oscar nomination in 1990 for The Grifters. The gripping, stylish depiction of a deadly power struggle between three con artists (John Cusack, Anjelica Huston, and Annette Bening), the film earned a reputation as one of the best noirs in recent memory. Both Huston and Bening were nominated for Oscars for their work, and Frears duly earned a reputation as one of the most gifted British directors of his generation. In 2000, however, Frears returned to more familiar territory with High Fidelity. Adapted from Nick Hornby’s popular novel of the same name, the film reunited Frears with Cusack (who also co-wrote the script), and promised more of the same insightful social and sexual commentary that had so endeared the director to audiences and critics in years past. Frears continued in 2000 with a nod to his past by directing the television remake of Fail Safe, featuring an all-star cast headed by George Clooney and Harvey Keitel. It was the first live two-hour telefilm in decades. That same year, he released the drama Liam. In 2002, Frears made one of his best films, Dirty Pretty Things, a biting yet hopeful drama-thriller about illegal aliens working, living, and surviving in London. The film’s script was written by Steven Knight, the creator of the original British version of Who Wants to Be a Millionaire? In 2003, Frears once again directed a film for British television. The Deal was a historical political drama about how Tony Blair came to be the head of the Liberal party. After a detour with the respectably ribald period piece Mrs. Henderson Presents, Frears reunited with the writer and star of The Deal to take another look at modern royalty; the result would be one of the high points of his career. Scripted by Peter Morgan, 2006’s The Queen took a comic-yet-sympathetic look at the P.R. nightmare that ensued after Princess Diana’s death in 1997. Bolstered by Helen Mirren’s universally acclaimed work as Queen Elizabeth II, the film enjoyed a healthy arthouse run through awards season, when Frears found himself the recipient of countless Best Director nominations from critics’ organizations, as well as the Golden Globe Awards. He won praise for his direction of the comedy drama Tamera Drewe in 2010, and reunited with screenwriter D.V. DeVincent to direct Lay the Favorite in 2012.